The all-in-one aluminum wireless charging station is designed to charge your iPhone X, Apple Watch, AirPods and more devices. Like the idea? Let’s keep checking. 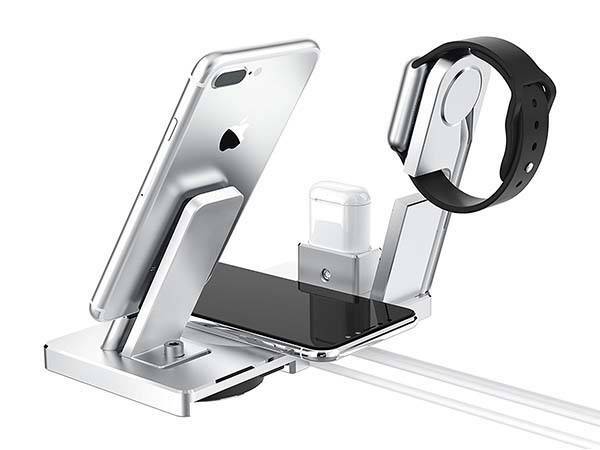 This is a beautifully designed, multi-functional aluminum charging station designed for Qi equipped iPhone X, iPhone 8/8 Plus, Lightning equipped iPhones, all Apple Watch models and AirPods. As we can see from the images, the dock shows off a sleek and minimal design, and it’s made from aluminum for a solid construction and premium modern aesthetics, while the glossy bezels complements to the elegant appearance design. Meanwhile, the compact form factor allows you to effortlessly deploy it on your desk or nightstand, and built-in cable management prevents the desktop from getting messed up by multiple charging cables. There is a rounded Qi-enabled wireless charging pad at the center of the aluminum base in order to charge your iPhone X, iPhone 8/8 Plus or other Qi-enabled mobile devices. 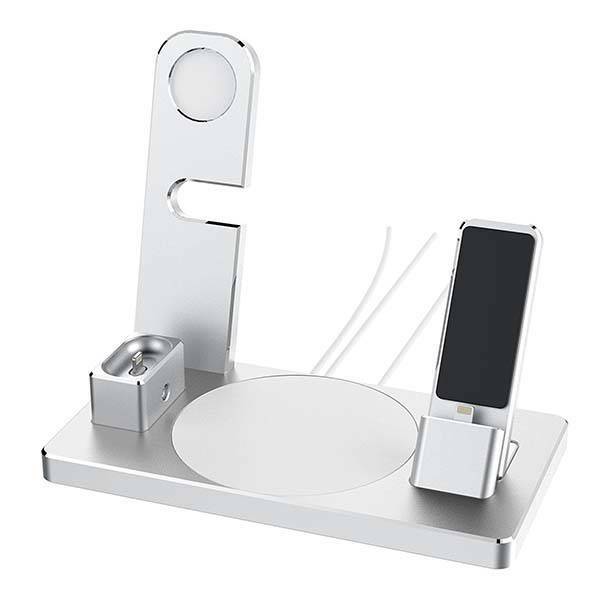 Furthermore, the wireless charging station also features an extra iPhone dock that can be used to charge a Lightning equipped iPhone, and the adjustable design allows it to work with an iPhone with a protective case. Moreover, integrate Apple Watch stand and AirPods dock let you charge your Apple Watch and AirPods charging case. In addition, the anti-scratch rubber and TPU back protect your devices from scratching. 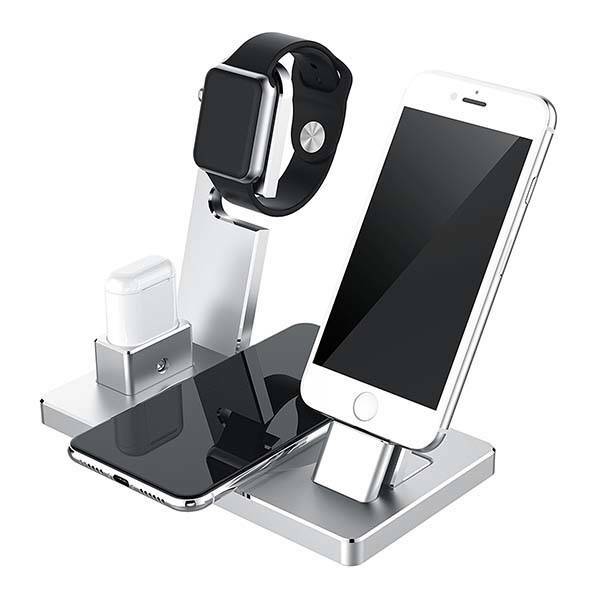 The all-in-one aluminum wireless charging station is priced at $45.99 USD. If you’re interested, jump to here for its more details.